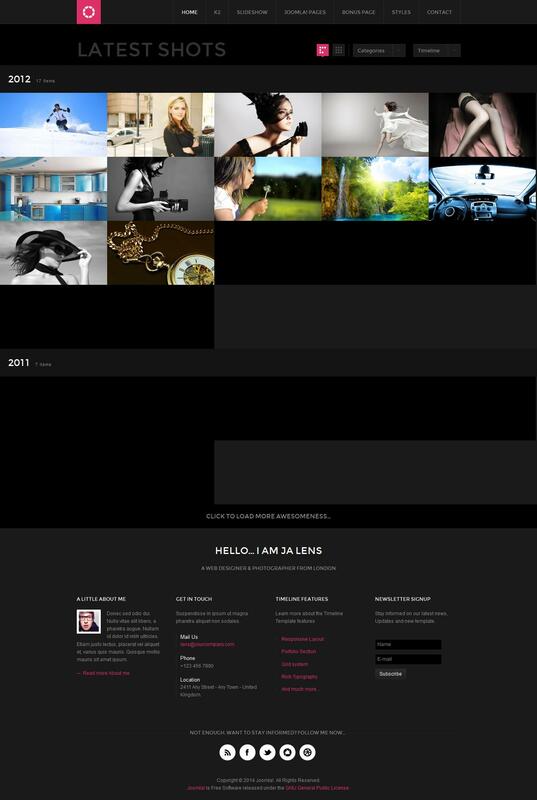 JA Lens - an unusual stylish template from a professional studio JoomlArt. This template has a unique structure that allows to easily create a personal blog. Street corporate slide - show provides spectacular display of images and perfect when building a website portfolio photo studio. K2 component support and additional styles to allow him to create a blog with original site content. Through the use of powerful and functional framework, this pattern is self-adaptive to the size of the screen on any device, whether it is a widescreen monitor or iPad, IPhone or Android. Also, the developers added the ability to download images consistent as you scroll the site in the browser.